Our first story to kick off 2014 dropped yesterday morning, thanks to an announcement from Motorola that the Moto X would be priced at $399 off-contract going forward. As you can imagine for a phone that is on our list as the top Android phone of 2013, a permanent price cut to Nexus levels is pretty major news. But so you are aware, the Moto X at $399 isn’t the only good deal in town. 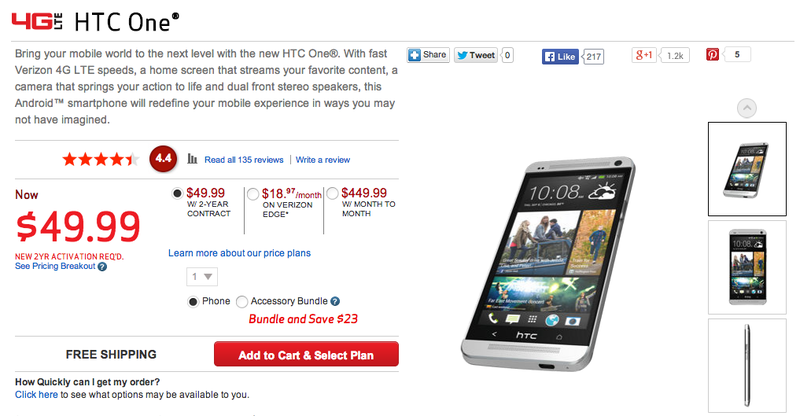 Verizon, for example, has three other top tier phones listed at $449 off-contract. Should the Moto X still not have won you over since its launch in August, the LG G2, HTC One, and DROID ULTRA are fine choices as well. We have seen all three of these phones’ prices fluctuate over the last couple of months, but to see them all land at $449 as we cruise into the new year is something to note. The G2 and One both made our list of top 5 Android phones, with the ULTRA just barely missing the cut. Those first two also carry 1080p displays and 32GB of internal storage, along with additional sets of specs we like to see in top tier phones. As a reminder, when buying off-contract (full retail) phones at Verizon, think about checking their iconic portal. If the phone is available through the iconic portal, it’ll save you Verizon’s sneaky contract-signing tricks, which you obviously want to avoid if buying at full retail.